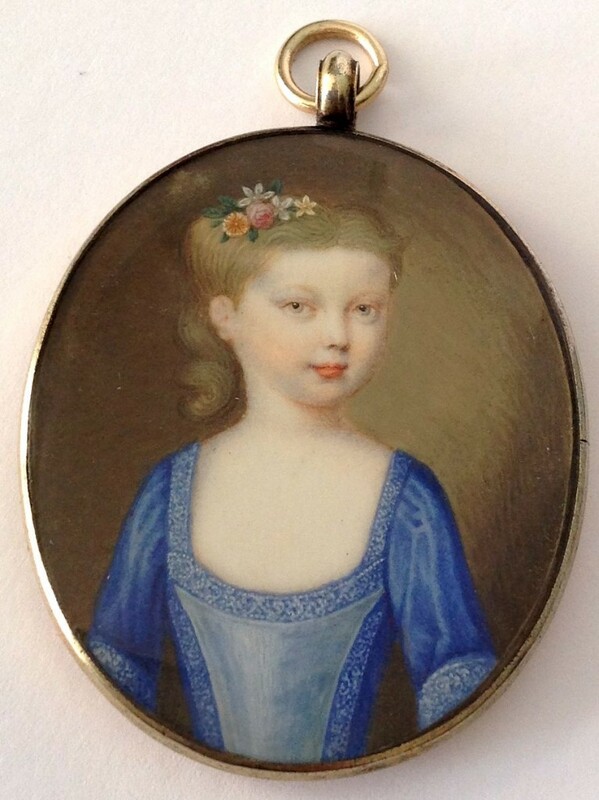 Portrait miniatures, silhouettes, portraits & an omnium-gatherum of historical interest & character. 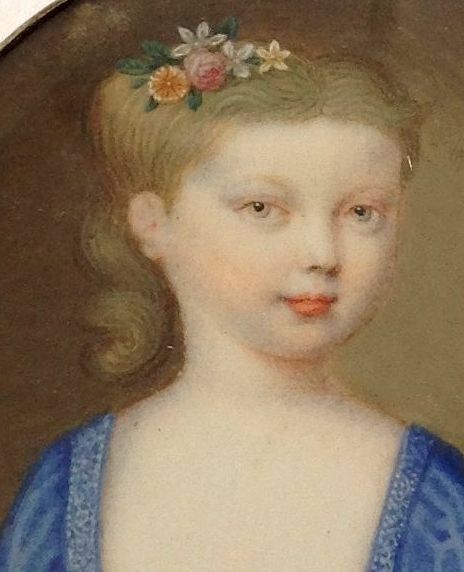 A winsome early eighteenth century miniature portrait of a young aristocratic girl aspiring to be all grown up. She is wearing a pretty azure blue dress, the low rounded neckline and tapered bodice covered with fine white lace. Her golden brown hair is drawn back and curled and is decorated with a posy of colourful flowers. 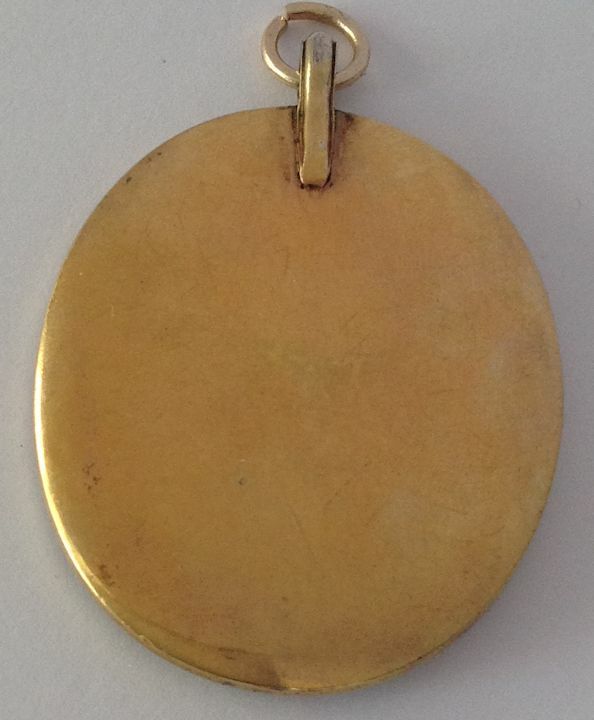 Unsigned watercolour on ivory set in the original high carat gold frame. 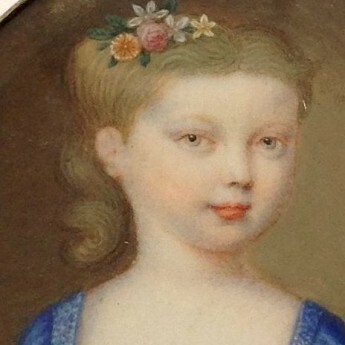 A third generation miniature painter, Bernard Lens III (1682-1740) was one of the principal miniaturists of his day. 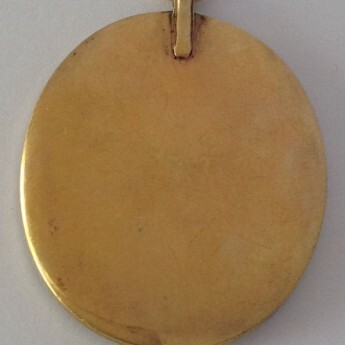 He also taught drawing at Eton and was one of the first to use ivory as a base.